Reports have emerged that the owner of Chelsea, Roman Abramovich is willing to improve the contract of French defensive midfielder in order to be among the highest in the country for a footballer. Ngolo Kante was a target for PSG and they have been on his tail since January according to reports. 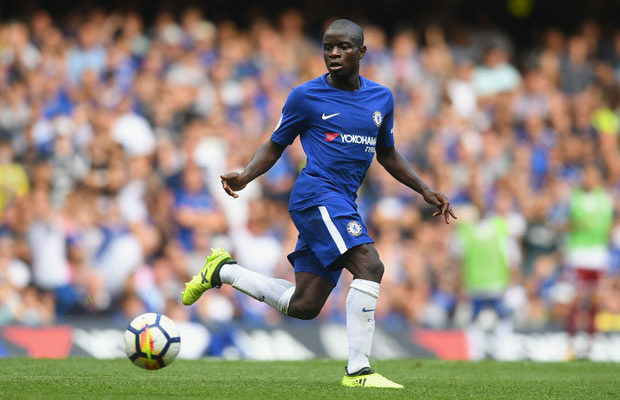 Energetic and skillful tackler, Ngolo Kante enjoyed an impressive world Cup outing with France were he won a gold medal. Due to his outstanding stats, French ligue one champion have shown interest in the diminutive but effective midfielder. To ward off the interest of PSG, Blues owner is willing to increase his pay packet to an astonishing £290 000 a week. If this offer is accepted by Ngolo, it will put him amongst the top earners in the league behind Alexis Sanchez and Mesut Ozil and on the same pay level with Paul Pogba. Chelsea new manager, Maurizio Sarri will not be willing to see the French tackler depart because he is invaluable to his project. Chelsea finished below the champions league spot last season which was frowned at by the owner. In order to remedy their lacklustre outing last season, Jorginho and a new manager have been brought in. Keeping their performing players is a must and the club is right to improve their contract situation if that will make them stay.